Plastic cannot be indefinitely recycled – The number of times a plastic package can be recycled is contingent on the type of plastic polymer used (as mentioned above). In addition, plastic polymers are not recycled efficiently. Different polymers mix like oil and water, causing structural weakness. 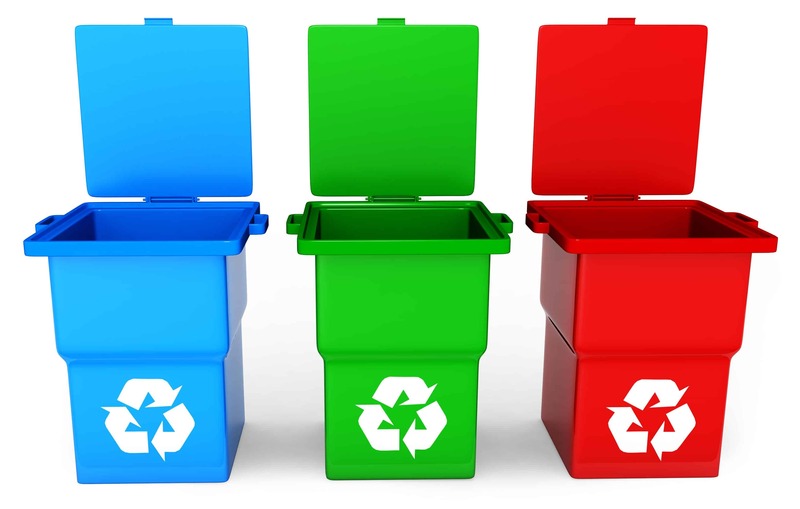 Therefore, plastic is usually down cycled, as the polymer within the plastic weakens during the process. Down cycled plastic is then made into materials and/or objects of lower quality and use including: benches and/or microfiber for clothing. Only small portion of plastic waste is recycled – It’s been 40 years since the launch of the first universal recycling symbol. Yet, still only 14% of all collected plastic is recycled efficiently – and of that, only 5% is repurposed into valued material after sorting and reprocessing. Not all plastic packaging is recognized as recyclable – Some plastic packaging can also be too small for machines to recognize as recyclable, or rather recognized at all. The market for these types of packages make up about 30% of the market by weight, and can easily leak into the environment. Because of their small format and design – e.g. sachets, tear-offs, lids and wrappers – they are unable to be detected, and are either sent directly to landfill or incinerated. Most conventional flexible plastic packaging is not recyclable – If a conventional plastic package has multiple layers that cannot be easily/mechanically separated, or the package has a blend of plastic polymers, then the package is not recycled due to the complexity of the package structure. Even though conventional flexible plastic packaging is considered to use less fossil fuels, and therefore emit a smaller carbon footprint, the way flexible packaging is produced means all the packages consist of multi-polymer layers that are impossible to separate, and therefore impossible to recycle. Composting is Natural Recycling – Composting is a process of the decomposition of organic matter in aerobic conditions that includes, but is not limited to: fruit and vegetable peels and scraps, garden clippings, and possibly meat scraps in very controlled conditions. Not all organic matter decays at the same rate, but when a collection has completely decayed into a homogenous rich state, also known as humus, it should smell exactly like fresh soil, and is a better alternative to using store-bought fertilizer. Compost is a rich fertilizer – Compost is a plentiful nutrient and natural fertilizer for crops and plants. Compost is not only a natural fertilizer, but its contents are a ‘soil conditioner’ to conserve the water in the soil while acting as a natural pesticide. Compost is also understood to protect groundwater quality, prevent leaching and erosion, and even facilitates land restoration in multiple environments. Organisms are the basic building block for composting – Because of live bacteria, microorganisms, and insects that break down the organic matter, compost is nutrient-rich. Each organism has its own job that turns the organic matter into ‘sweet’ mulch to enrich the soil for better plant gorwth. Industrial and home composting work in the same way, but possibly not the same rate – Composting can be done either at home or through an industrial compost system. The process is the same, but certain factors like temperature from weather and volume of the heap mean composting conditions at home are typically slower, and more challenging. All compostable matter is biodegradable, but not all biodegradable matter is compostable – Technically, all chemical compounds are biodegradable in the right conditions, and over a certain period of time, will decompose completely. However, many factors affect the decomposition process that include: light, heat, water, and oxygen, but it is the rate of decomposition and the valued result that makes composting so much more effective. Organic matter in compost conditions breaks down effectively for micro/organisms to consume. And thus, the final valued product from this decomposition process is called compost. The same is true for biodegradation, however, the decomposition occurs in natural conditions, and therefore rate and result of soil richness can vary drastically. PreviousPrevious post:Stella McCartney’s Fashion-Forward movement as a Rebuttal to Fast FashionNextNext post:The time has come for plastic waste to become a resource as compost!